Blog: VOLUNTEER TO LOVE BUENA PARK Sign up today before your project fills up! VOLUNTEER TO LOVE BUENA PARK Sign up today before your project fills up! 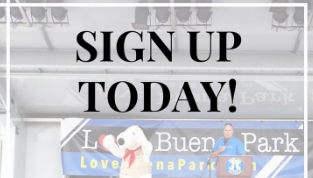 Love Buena Park April 29 is just a month away and there are projects that need more volunteers. Invite your family, friends, business, organization, congregation to sign up and make a difference in our community. Love Buena Park is a community wide service day planning for over 800 volunteers to make an impact in our community! There are many projects to choose from and something for everyone to contribute.